NOTE: We cannot ship this product outside of the 50 United States. Orders placed to addresses outside the US will be cancelled. Our apologies for any inconvenience. AlpenOrganics make premium organic, vegan, hemp-derived CBD products. They are made in the USA, do not use palm oil (the harvesting of which is destroying Orangutan habitats), and are gluten-free. Each batch is lab verified for purity. AlpenOrganics is vegan owned and operated. 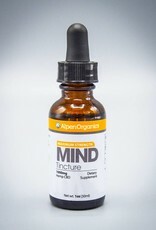 Alpen Organics Mind tincture is by far the most effective way to ingest CBD into your system. 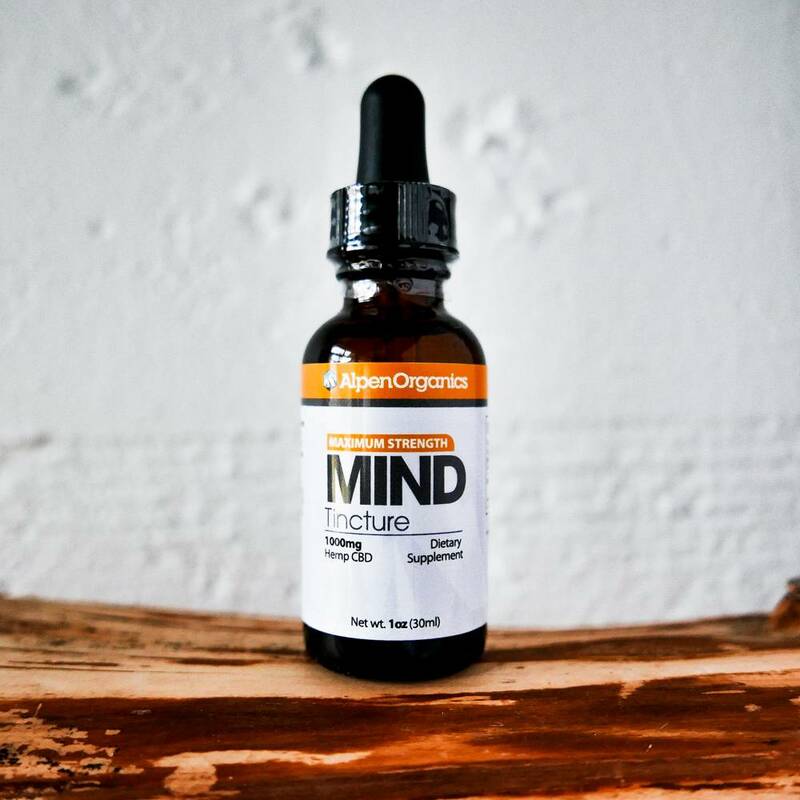 By putting only a drop of CBD oil under your tongue, you are getting CBD into your system faster than any other product on the market. 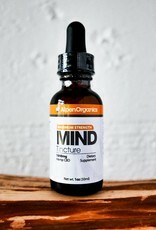 Alpen Organics infuses MCT (Medium Chain Triglycerides) with it's CBD. MCT oil is one of the fastest sources of clean fuel for body and brain. With fewer steps to convert into caloric energy than carbohydrates, it is hands down one of the best ways to power up your performance or kick start a nutrition program. 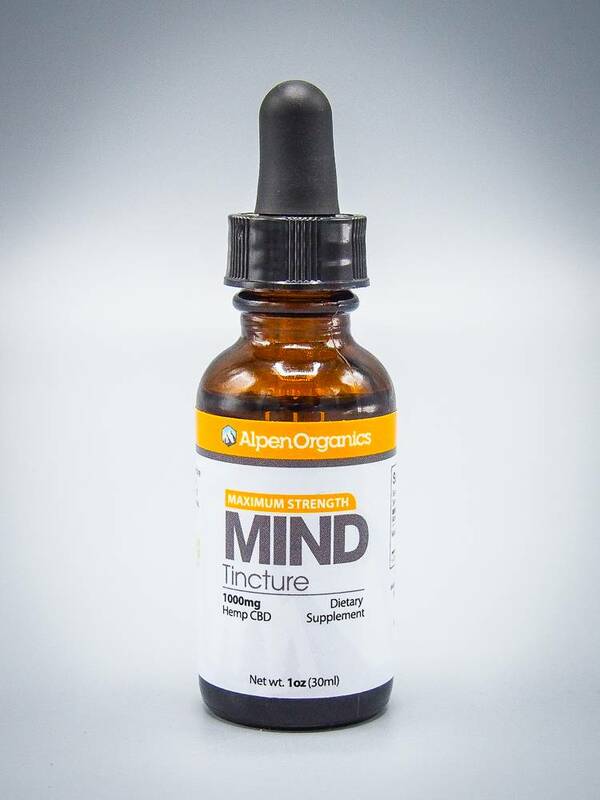 Consuming Alpen Organics Mind tincture isn’t just good for humans, it’s good for orangutans! Palm oil, the leading constituent in most MCT oils, is typically harvested from native palm forests, contributing to the destruction of some of the last remaining habitats for orangutans. So enjoy our palm oil free oil and send a karmic high five to the great red ape. CBD hemp oil has a huge range of potential health benefits and uses, including reducing pain, soothing anxiety, fighting cancer, improving mood, eliminating depression, preventing inflammatory arthritis, protecting the immune system, balancing the metabolism, aiding sleep disorders, and healing the skin, among others. CBD oil can also be used in many different ways and has a variety of applications for natural health. Recommended Use: Shake well before each use. Use once or twice daily as needed. Place under the tongue and hold for 15 seconds and then swallow.